Gavin Harlien has joined Venturini Motorsports for three ARCA Menards Series races. CONCORD, N.C. – Off-road racing specialist Gavin Harlien, 19, will join Venturini Motorsports for three ARCA Menards Series races this year. 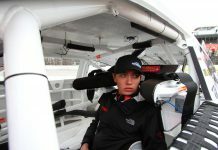 Harlien, from Phoenix, Ariz., will make his stock car debut in the ARCA Menards Series behind the wheel of the No. 55 Toyota Camry at Gateway Motorsports Park on June 22. The former X-Games competitor will also compete at Iowa Speedway (July 19) and Salem Speedway (Sept. 14). Sponsorship details for Harlien’s VMS-prepared Toyota will be announced at a later date. 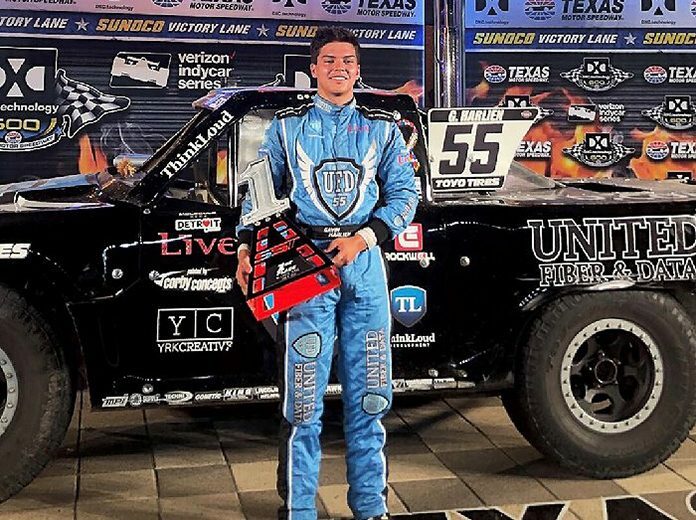 Currently competing for a championship in Robby Gordon’s Stadium Super Truck (SST) Series, Harlien’s career spans the globe – racing multiple disciplines, series’ and events on dirt including SST, Lucas Oil Off Road, The Off Road Championship, Red Bull Global Rallycross, the Lucas Oil Chili Bowl Nationals and Sprint Cars. Following in the wake of last year’s ARCA Menards Series’ champion Sheldon Creed, the fellow west coast driver will make the jump from off-road to stock car racing. Harlien is currently studying Business at The University of Arizona. The honors student was awarded the Dean and Wildcat Scholarships in Academics and will graduate in 2021.